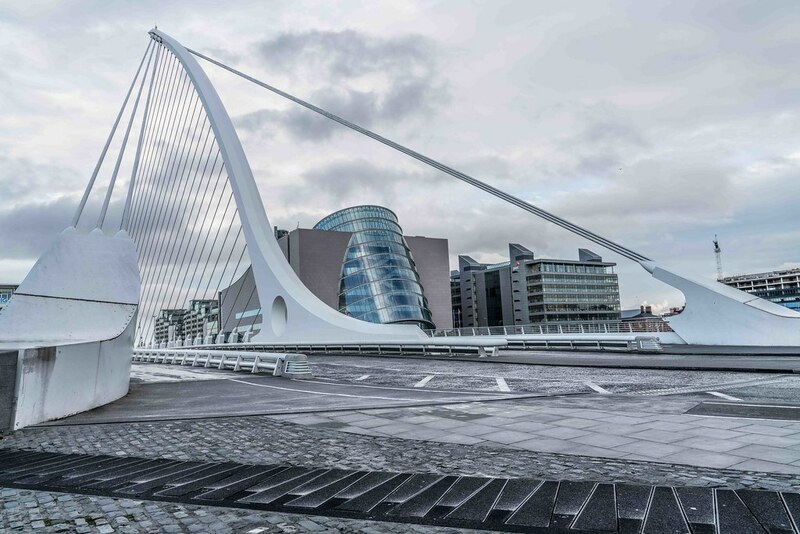 The Samuel Beckett bridge is a cable stayed, steel box girder structure with a span of 123m over the Liffey. 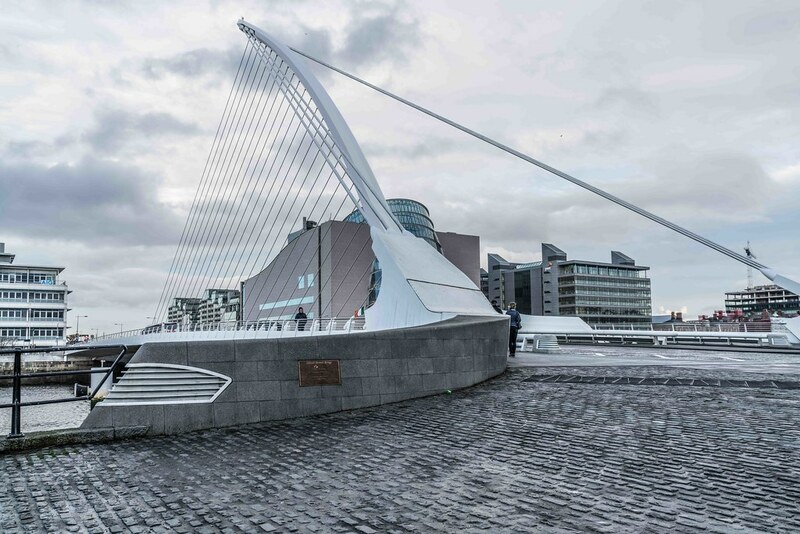 Designed by Santiago Calatrava in conjunction with Roughan O’Donovan (Dublin); the bridge was built by Graham Hollandia Joint Venture Contractors. Graham constructed the abutments, river pivot pier and the roadworks. 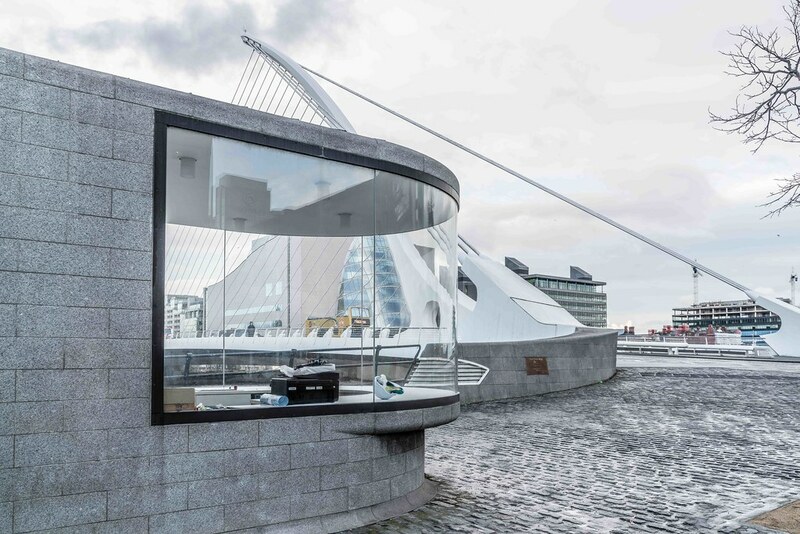 Fabrication, installation and commissioning of the steelwork/machinery was carried out by Hollandia in Rotterdam and Dublin. 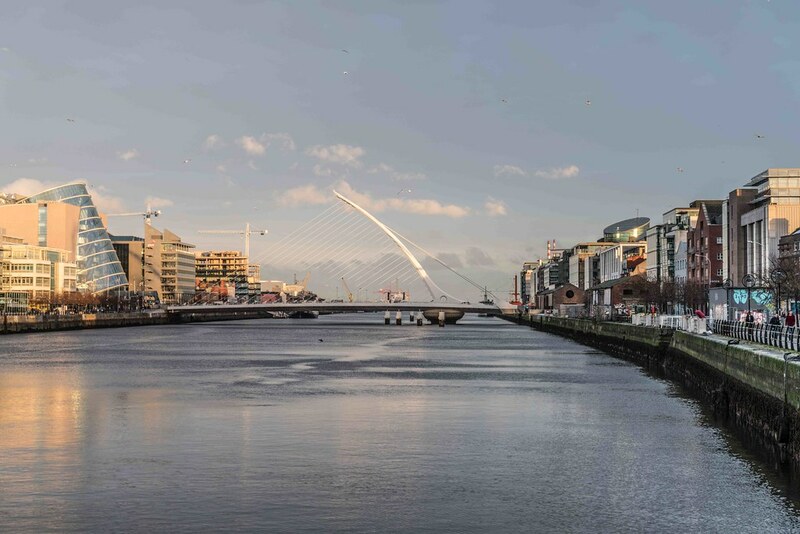 Construction began on site in Dublin on April 30th 2007. 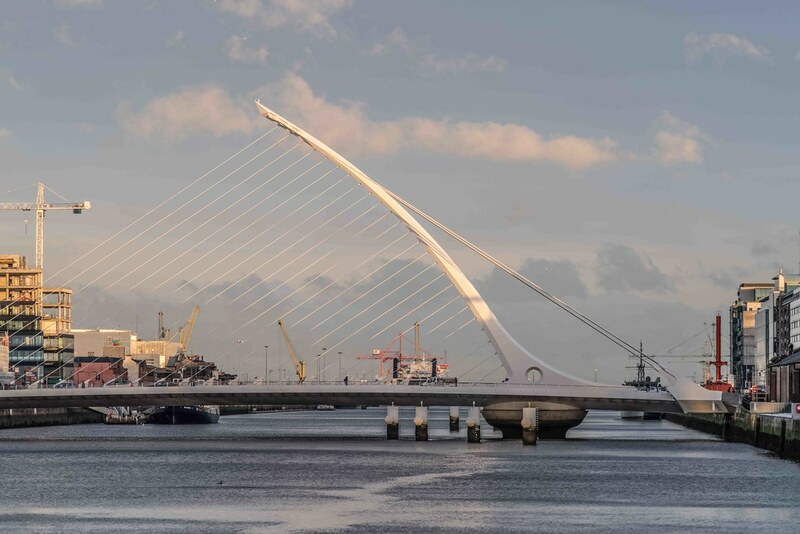 The bridge, which rotates through 90 degrees, is asymmetric reflecting a harp laid on its side, with the base to the cable stayed steel pylon set outside of the river’s navigational channel – 28m from the river’s south quay wall. The pylon curves northwards to a point 48m above the water level with 25 cables set in a harp formation. The deck consists of two pedestrian and cycle tracks, two traffic lanes and two lanes dedicated to buses. This configuration can be adapted to accommodate trams in the future. 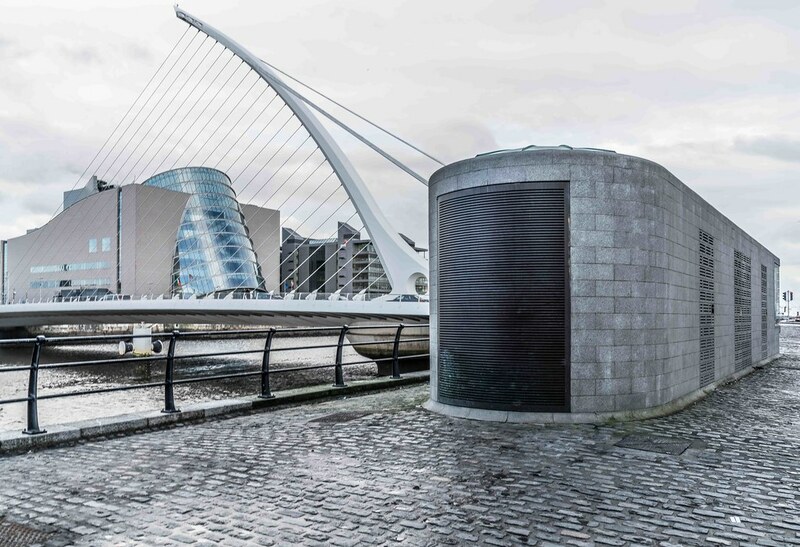 The main concrete support in the river consists of bored concrete piles, with a concrete pile cap supporting a circular concrete pier of varying diameter. This houses the bearings, hydraulics and lifting equipment which support the bridge while turning. When opening the vertical load of 5850 tons is lifted 75mm and two hydraulic cylinders rotate the bridge 90 degrees operating as a push – pull system. The abutments are reinforced concrete structures founded on bored piles behind the quay walls. When the bridge is in the closed position locking pins attach the bridge to the abutments. 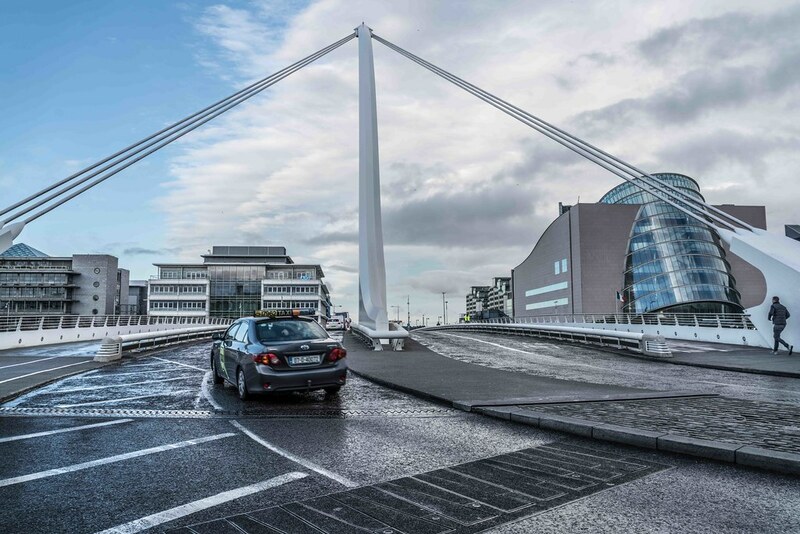 The bridge deck was fabricated in one piece in Rotterdam, Netherlands by Hollandia. 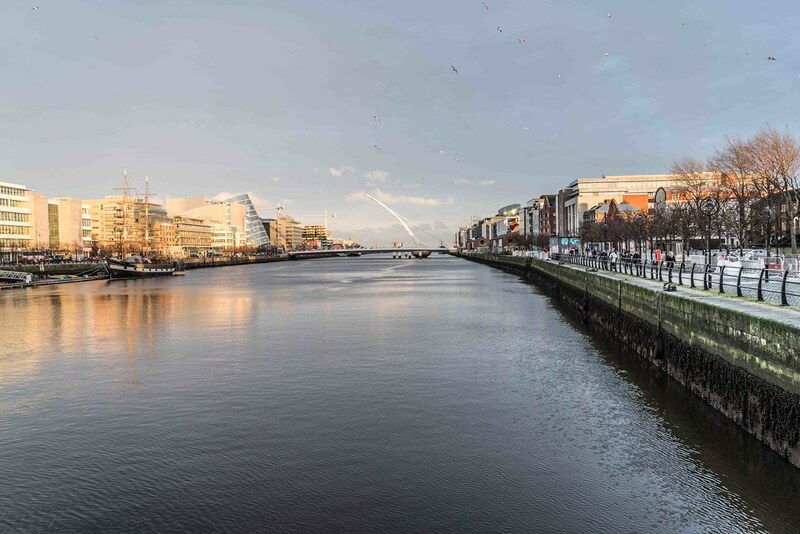 It was then moved on to a barge and towed to Dublin. A section of the bridge deck was wider than the open span of the East-Link Bridge through which it had to traverse. This was accomplished by bringing the barge through the open span at high water and ensuring the deck was above the East-Link deck (video). The weight of the new bridge was then divided between two barges allowing a space between them. At high tide the deck was floated over the fixed concrete column in the river. As the tide receded the weight of the bridge was transferred to the concrete column, following which the barges floated away. The deck was then fixed to the rotation mechanism. 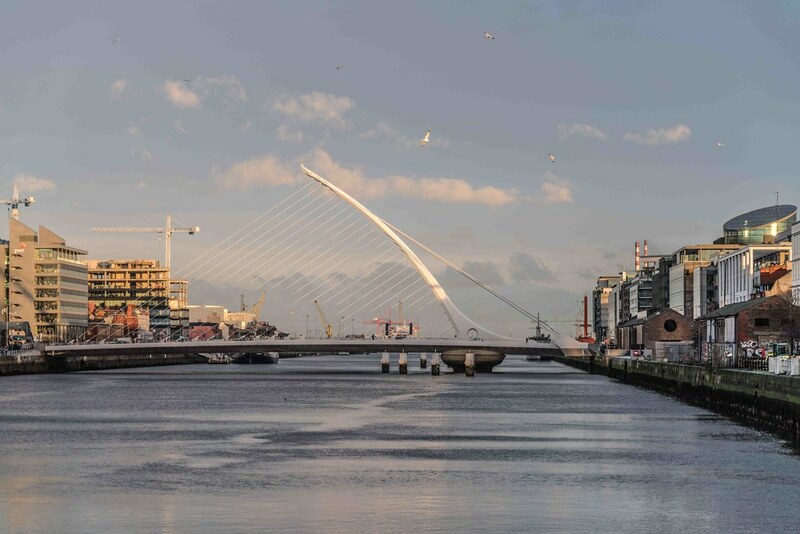 The bridge was named after Samuel Beckett, Nobel Laureate, to complement the sister bridge, James Joyce, located upstream. The bridge was opened to the public on 10th December 2009. 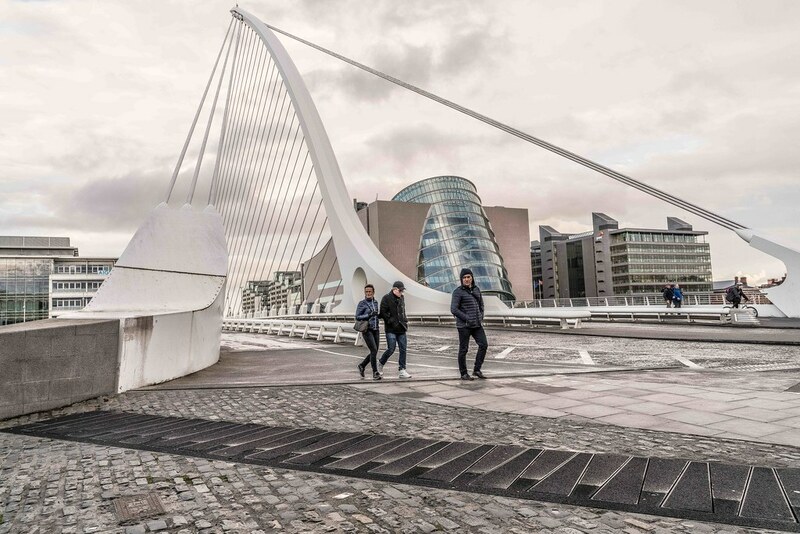 The quality of the bridge has been recognised as it won the 2010 Engineers Ireland Award which is determined by members of the public voting online.